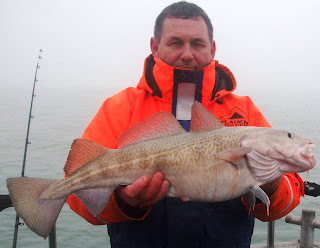 The Poole Cod Comp was organised by Poole Sea Angling Centre and Poole Dolphins SAC. 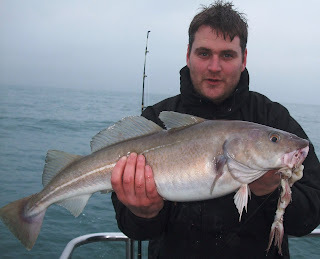 The comp was based on the heaviest fish with just one fish to be weighed in per angler. 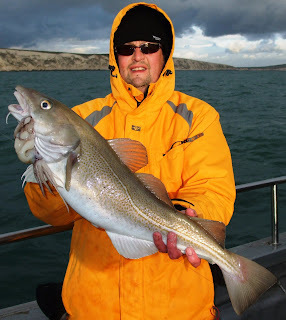 The heaviest fish of19lb was caugt on Our Gemma. 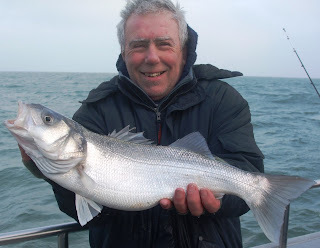 Silver Spray regular Mark Palmer was second with a fat fish of 11lb 4oz. 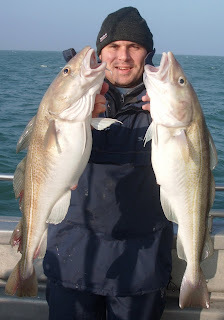 Aled Daniels came all the way from Wales and caught two cod. Combined weight would have been right up in the prizes. 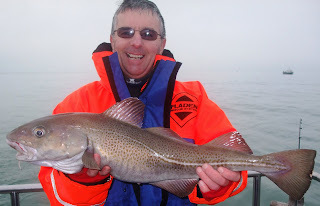 He has caught 4 fish in 3 trips which is excellent fishing! 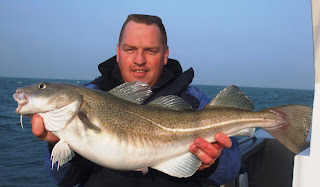 Mark Palmer 11lb 4oz cod which was second and netted mark a £500 prize! 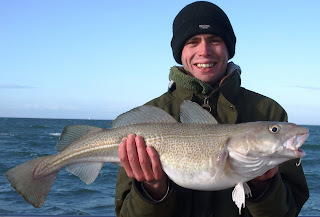 The last month has been taken up with winter cod and whiting trips. 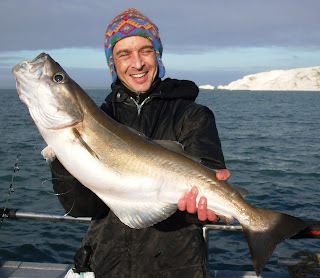 The fishing has been excellent with catches of cod 3x higher than a year ago. Most fish are a similar stamp to those we found on the brittle star grounds this summer. 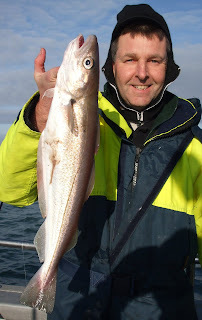 We have cut back from 3 squid on 2 8/0 hooks in a pennel rig to fish 1-2 squid on 2 6/0 hooks with some success. One difference to a year ago is the number of strap congers is much decreased. 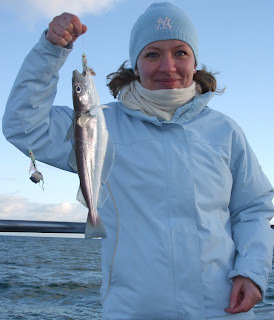 This week the catches of whiting have been excellent.